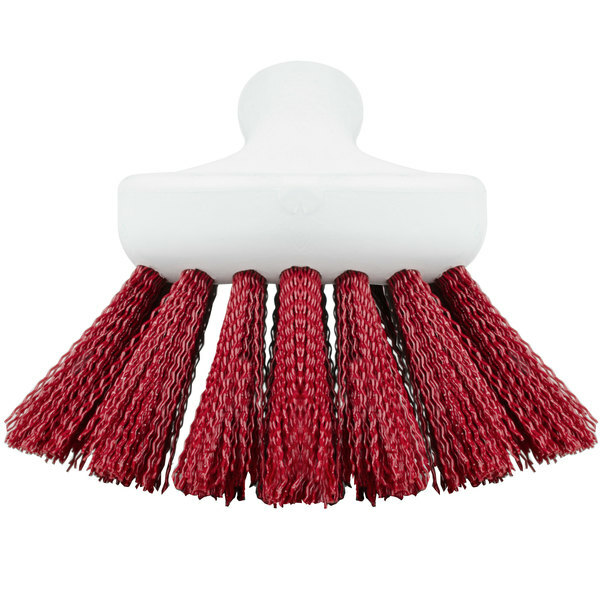 Versatility is the name of the game with this Carlisle 4054105 Sparta Spectrum 8" red floating general clean up / pot scrub brush. 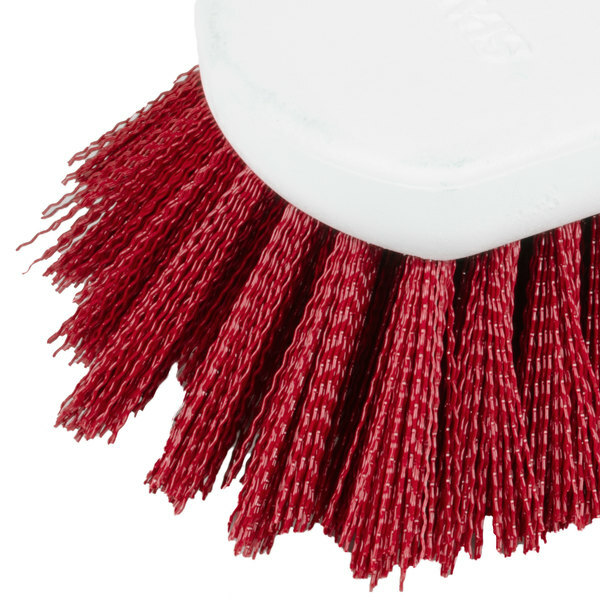 It features FDA approved, stiff, staple-set polyester bristles with multiple trim angles to ensure complete surface contact and a thorough clean. The 8" ergonomic, pistol-grip handle will not absorb oils or moisture and is designed to be easy to hold and maneuver. 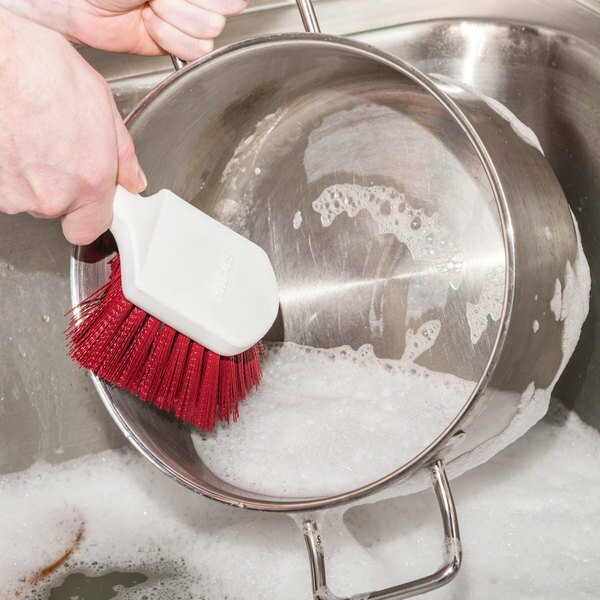 This brush also floats on the surface of water, so you don't have to go digging through hot, dirty dishwater to find it! My staff really likes this brush. These brushes take a TON of abuse and usually last well over a year. You can't beat this value. Great brushes! Not only do they clean pots and pans with ease, but they are also useful in cleaning bar mats at the end of the night. Love these brushes, so easy to scrub through anything. Fast for big surface area. Great item. 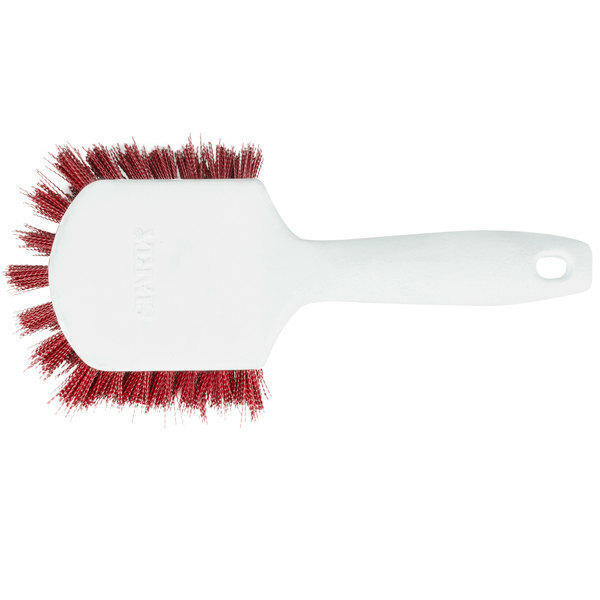 These brushes work well and the bristles are ablate get into every corner of what you're cleaning. This brush is a nice size for scrubbing larger objects. The bristles are durable yet not too stiff. 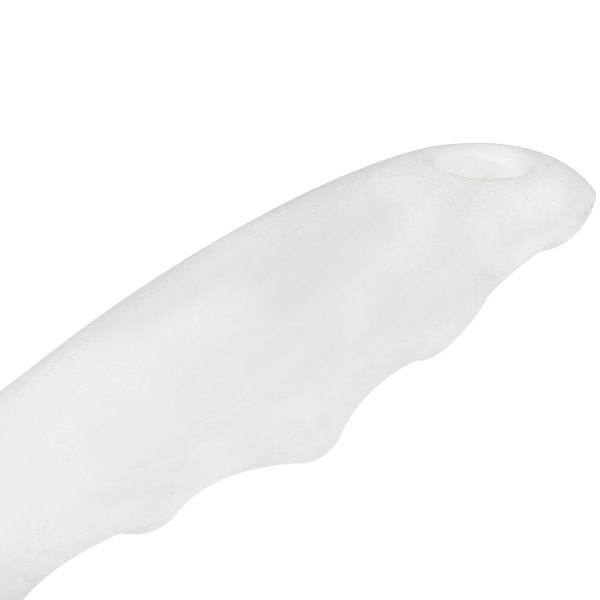 The handle has nice rounded edges so that it can be held at various angles for easier cleaning. 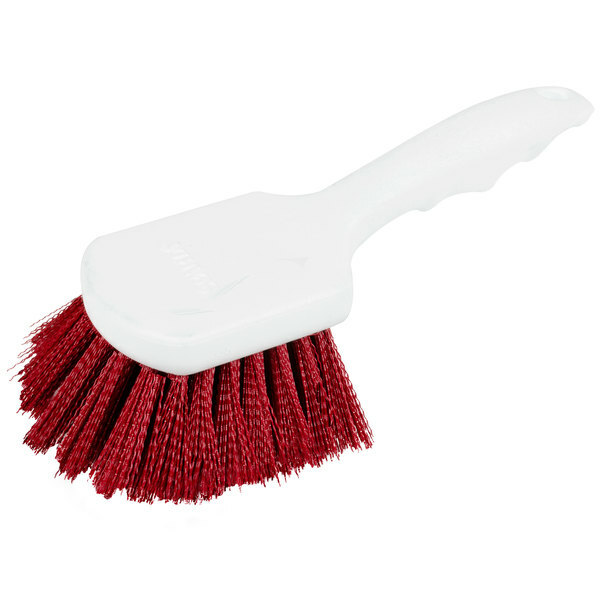 This is a great brush for cleaning containers that had wet bread doughs in them! The dough doesnt get stuck in it like it does in the green scrubbies!! 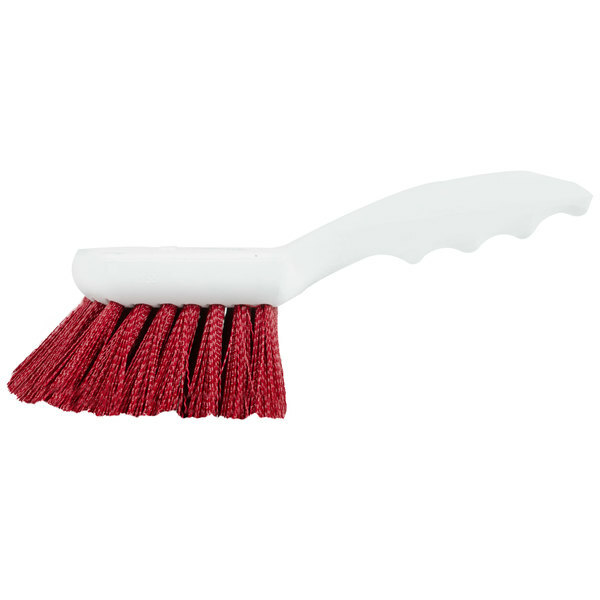 This scrub brush does the trick with pots and pans. After soaking only a little, I don't have to use too much elbow grease. I highly recommend.